Quinoa is my favourite grain due to it's nutritional value. My mum used to say healthy stuff doesn't taste good.. So If I tell her to try something healthy she will think twice.. 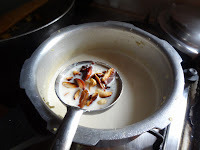 But there are dishes which are healthy yet tasty this is one of dish. Pls. 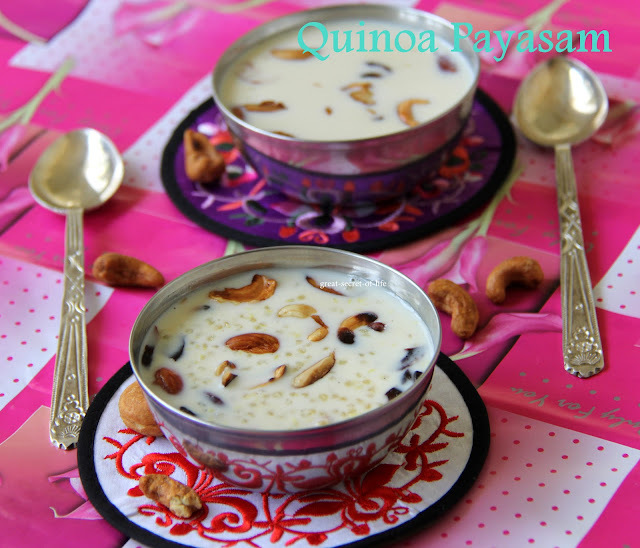 refer to http://knowaboutingredients.blogspot.sg/2012/06/quinoa.html for more details about Quinoa. 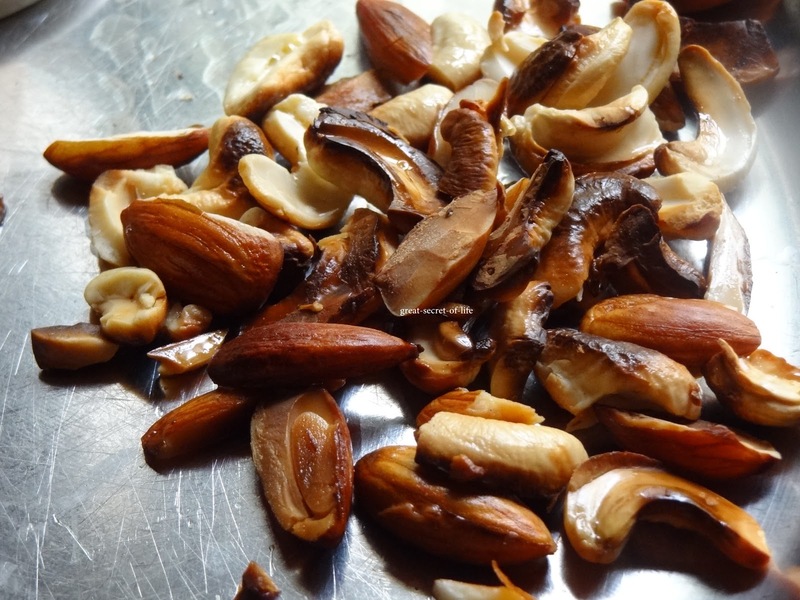 Heat ghee in a pan, add nuts and roast them till they are golden brown .Remove and keep it aside. 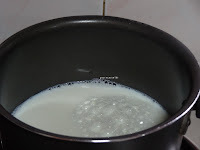 Boil milk on low flame for 10 to 15 mins. Add Quinoa and cook it in low flame. I have cooked it in pressure cooker. If you are using pressure cooker put small plate in it so that milk won't get burnt. I have cooked till 2-3 Whistle. You can cook it in direct flame but it will take time. 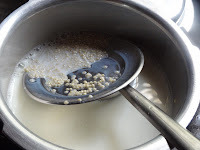 Other alternative is cook the quinoa in water and add it to boiling milk. 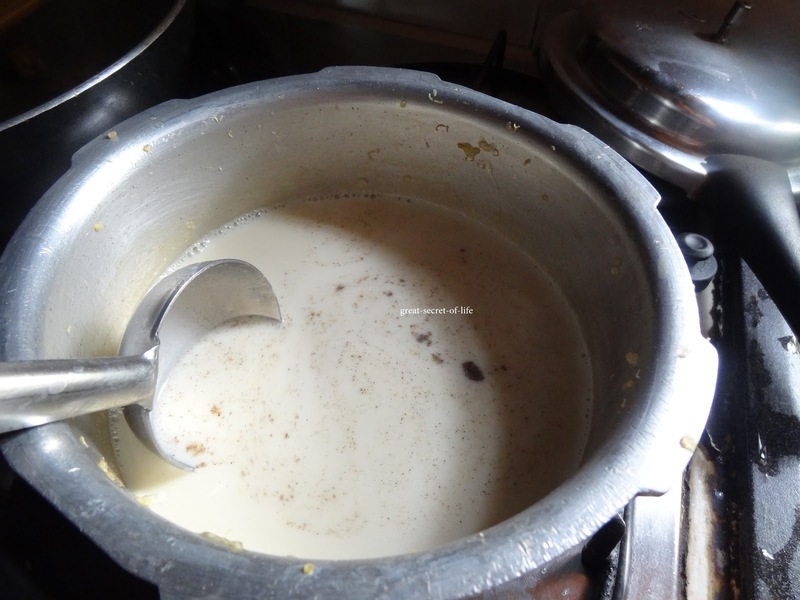 Once Open the cooker lid add sugar and cardamom powder, mix well. Finally add fried nutsand mix well. 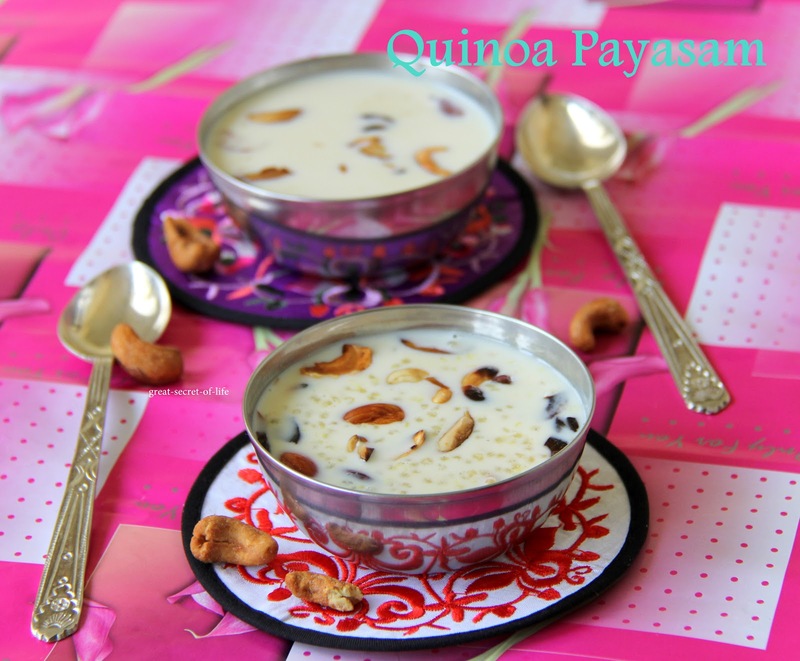 Now easy and delicious payasam is ready to serve. It looks really good...nicely presented. 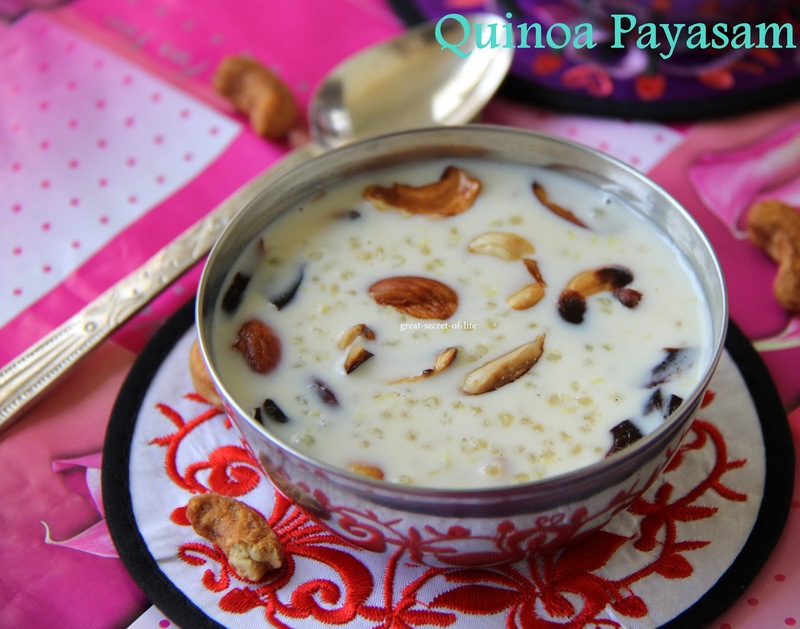 Perfect Healthy treat for festival.. I too enjoy quinoa, but never tried them with milk. Looks irresistible! Hope u r enjoying ur vaction with ur family. Quinoa payasam looks yumm and delish. We love this payasam here. 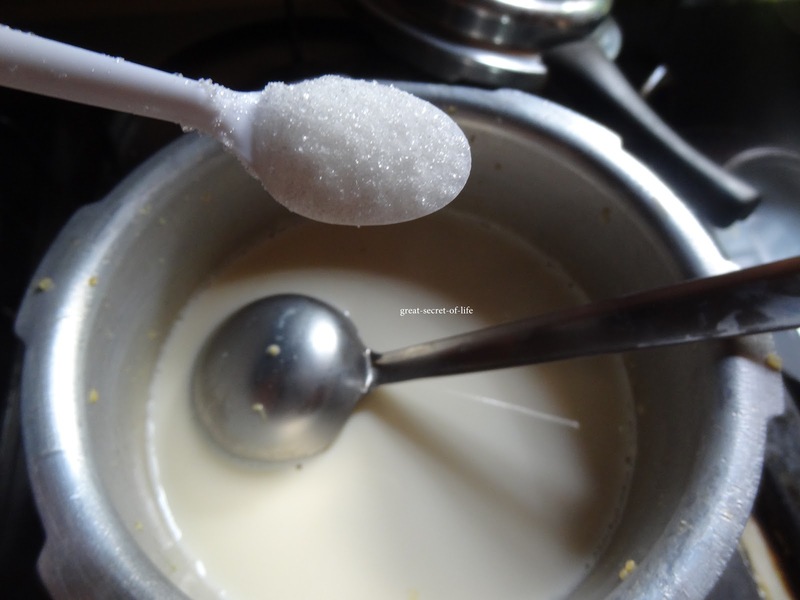 Nice beautiful clicks Veena.